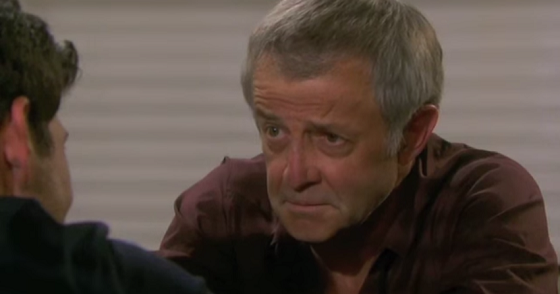 Batty Ben may be gone, but don’t count the Weston family out on Days of our Lives just yet. The Weston patriarch and original Weston family villain, Clyde, will be back on the daytime drama month. Clyde’s portrayer, James Read, tweeted, “Clyde rides again in early September.” The actor didn’t say what Clyde would be up to, but judging by his past, it’s not likely to be charity work! Lookout, Salem! One of the most fearsome Salem baddies in recent memory will likely be stirring up some trouble in just a few weeks. Given that Kate is in hot water with Deimos, Clyde could be just the partner she needs to give Deimos as good as he plans to give her. Kate did, after all, push Deimos off a cliff and have a relationship with Clyde in the past. Read's return was first spoiled on Snapchat. Days fans had a hint that Read may return in April. 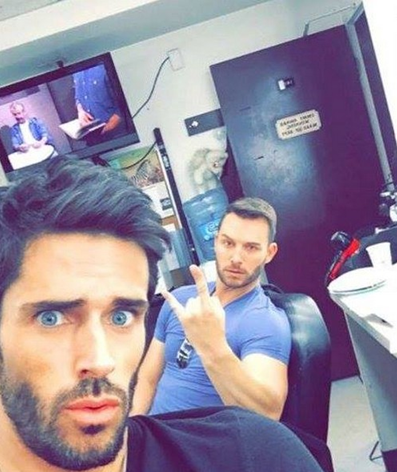 Brandom Beemer posted a picture from the set to Snapchat in which Read’s visage could be seen on a monitor. In his previous time on the NBC sudser, Weston had his hands in drug trafficking, ordering hits on his enemies, blackmailing his own daughter, and tampering with DNA test results. When Stefano pried into Clyde’s past, he even discovered the No-goodnik oversaw an illegal gambling operation in Florida. Sadly, the disturbed apple did not fall from Clyde’s tree. Clyde’s son, Ben (Robert Scott Wilson), descended into madness. Ben kidnapped his own son and tried to set fire to Abby (ex-Kate Mansi) and Chad (Billy Flynn). Read’s first daytime role was that of Clyde, which he originated in 2014. Before that, he had numerous roles in film and television. Perhaps the most memorable one was George Hazard in the iconic TV miniseries North and South in 1985. That TV event was the seventh highest-rated miniseries of all time.